It’s our first newsletter for the year and I hope everyone has had the opportunity to enjoy some summer sunshine with their loved ones. The New Year is now in full swing and it’s important to acknowledge all the hard work charities are doing to understand and comply with the new financial reporting standards, but we’ve still got some way to go. We understand it’s all new and we are committed to supporting charities understand their new reporting obligations and to make complying with the requirements as easy as possible. We know no two charities are the same and we have tried to develop different ways to engage and support the range of charities we see in the sector. From April 2017 we are launching a webinar series on some specific areas we have identified within the standards that charities need help with. Please keep an eye out on our website and our new Facebook page for more information on the upcoming webinars. If you can’t find the information you’re looking for, please let us know. Pat on the back for those charities that are complying with the new reporting standards. For registered charities that are filing Annual Returns for financial years ending on or after 31 March 2016, new reporting standards apply to the preparation of financial statements. We have been highlighting these new requirements for a couple of years now. Around 60% of charities in a sample checked have given the new standards a go and we recognise the effort that those charities have put in to their reporting, so thank you. But there is still some way to go until all charities are meeting the new reporting requirements in the Charities Act 2005. 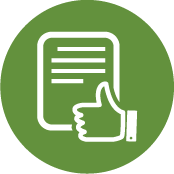 And even for those charities that have attempted to use the new standards, there are some areas where improvements can be made, in particular around the use of the minimum reporting categories and performance information (i.e. outcomes and outputs). Our checks show that the levels of compliance are lowest for those smaller charities reporting using the Tier 4 standard (any charity with annual expenditure below $125,000). If your charity is required to report using the Tier 4 standard, we suggest you first read the Annual Reporting Guide for Tier 4 charities, and then use the template available on our website to complete your charity's Performance Report. We have developed a tutorial that will step you through the process of completing the template in Excel, and there is also a Word version of the Tier 4 template available if you prefer. Additional resources are also available on our website. We highlight issues that we are coming across in our blogs. Webinars are planned for April 2017, so please keep an eye out for more information about these on our website, Facebook and your inbox. Recent changes to the Charities Act 2005 mean that persons are now generally unable to be officers of registered charities if they have been convicted of tax evasion or a similar offence under section 143B of the Tax Administration Act 1994 and sentenced for that offence within the last seven years. This is a new ground for disqualification, and applies to persons who are already officers of a registered charity. There are also a range of other factors that may prevent someone from being qualified as an officer under the Charities Act 2005, for example, if they are under 16 years old, an undischarged bankrupt, or have been convicted for a crime involving dishonesty. Further information is available on our website. Who are a charity’s officers? The Charities Act 2005 may define officers differently to the way your rules define them. An officer can be a person or a body corporate. If your charity is a trust, your officers are all your current trustees. all the people in a position to have significant influence over your management or administration (for example a chief executive or a chief financial officer). What should I do if one of our charity’s officers is now disqualified? Under the Charities Act, your charity must inform us if any of your officers become disqualified. You may decide to remove or replace the disqualified officer or, if you wish to continue having the person as an officer of your charity, you can request a waiver of the disqualification ground. You need to do this through the "Update Details" page in your Charity Dashboard, after you have logged on to your charity’s online account. If your entity has recently applied for registration, contact us as soon as you can. We will give you access to your online application form for you to make any amendments and/or add new officers. Remember to keep us up to date with any changes to your charity. You must let us know of any changes to your charity's name, address of service, change in officers, balance date, rules and purpose of your charity. This information is made publicly available on the Charities Register and so we need to ensure that the information is true and correct. Also, if your charity’s contact details are not current, you might miss out on important information from us like Annual Return reminders. You can update your charity's details through the "Update Details" page in your Charity Dashboard. Like Us on Facebook so we can keep you up to date with information of interest to registered charities and the not-for-profit sector. Our Facebook page will share information, news and events of interest to registered charities and raise awareness about issues affecting the charitable sector in New Zealand and internationally. We think social media is a great tool to make Charities Services more accessible to you. We hope you like our page and please, get online, Like Us and spread the word! 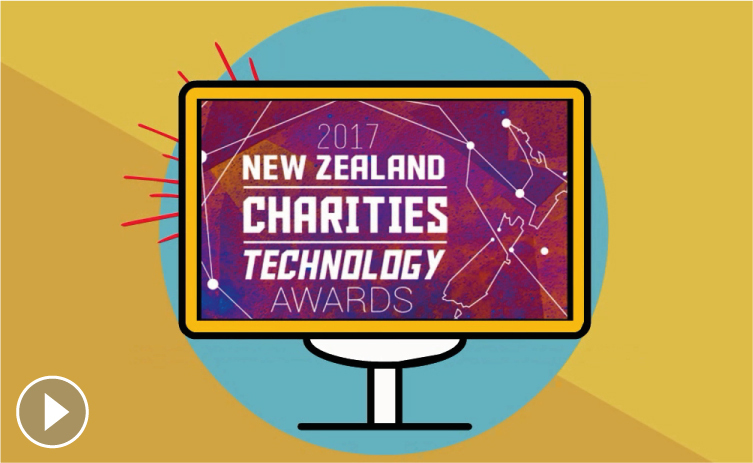 Charities Services in conjunction with the External Reporting Board (XRB) has been nominated for an award at the New Zealand Charities Technology Awards 2017. The awards recognise the very best in technology innovation and technology service excellence from organisations and individuals in the New Zealand charitable sector. Carolyn Cordery, Associate Professor School of Accounting and Commercial Law at Victoria University of Wellington, nominated Charities Services for the best government agency using technology to connect the community award, for our continued support of the charitable sector to comply with the new legislative requirements for financial reporting. Check out our nomination video! 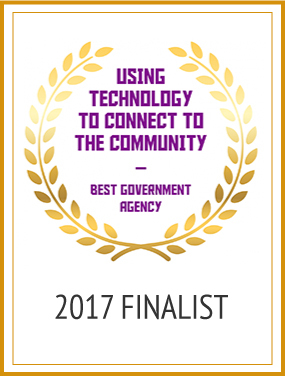 In another success for the sector, NZ Navigator, a free online self-assessment tool designed to support community organisations in their organisational development (developed through collaboration between community, business sectors and government - including Charities Services), has also been nominated for the best small to medium enterprise using technology to connect the community award. The winners will be announced at the awards dinner on 16 March 2017. Foundation North is hosting a seminar on “Understanding funding and the New Financial Reporting Standards for Charities” targeted at Pacific Island charities. Charities Services will be talking about the Performance Report in more detail and providing information on the benefits and obligations of being a registered charity. Following on from our successful webinars last year, Charities Services will be delivering a series of lunchtime webinars starting in April 2017. We will cover a range of topics with our main focus this year being on the new reporting standards. Thinking of becoming a registered charity? More details on dates and content will be sent out soon. Is your charity's balance date 31 March? Your Annual Return (that includes the Performance Report) is due by September 2017. We've got lots of information on our website to help you prepare to file. You may already know what tier your charity is reporting under, but if not, find out here. Also, check out our Tier 3 and Tier 4 annual reporting guides. Are you struggling with GST and PAYE? Did you know that Inland Revenue runs free tax seminars and workshops throughout the country to help your charity with the basics? They also have a range of videos that you can watch online. Revenue's website for more information and the full schedule. Exchange or Non-Exchange - which is it? You are receiving this email because you are a registered charity, or because you subscribed through our website. To unsubscribe or edit your subscription preferences, please use the links below.